Franklin TN Child Support Lawyer | Donna L. Green, Esq. As a child support lawyer Donna Green works hard to meet the real and present needs of children in all family law matters, while also focusing on the future needs of those kids. The divorce process can be quite complicated on its own, but when children are involved, a thick layer of complication is added. Ensuring children are properly supported and enjoy a favorable residential schedule is vital to protecting children during a divorce. Attorney Donna Green works hard to meet the real and present needs of children in all family law matters, while also focusing on the future needs of those kids. With Donna’s help, parents can present their best case for the best interests of the children. In Tennessee, courts have done away with the disfavored terms “child custody,” “visitation,” and “legal custodian.” Those concepts have been replaced with new terminology. In every divorce or case involving unwed parents, a judge must sign a document called a Permanent Parenting Plan which details the care and financial support of the child(ren). This Parenting Plan sets out a schedule of where the child(ren) will reside each day, now called Parenting Time. The parent who has more than half of the parenting time is the Primary Residential Parent, and the other parent is the Alternate Residential Parent. These titles have nothing to do with decision-making or superior rights; rather, the only legal significance of the terms is that the child(ren) will be zoned for the public school based upon the Primary Residential Parent’s address. Sometimes parents will have equal parenting time where both have 182.5 days per year. The Tennessee Child Support Guidelines essentially create a formula to determine the amount of child support in your case. Variables are the number of children, the number of days spent with each parent, the relative incomes of each parent, whether either parent is responsible for other minor children, and the allocation of medical expenses and childcare costs. If two parents made equal incomes and had equal parenting time with the children, then neither parent would owe the other child support. A parent’s child support obligation increases as that parent’s income goes up, or his/her number of parenting days goes down. Sometimes the financial needs of a family will change over time. Attorney Donna Green will help families fight for changes in their support arrangement, ensuring that the children have what they need and the parent paying support is not facing undue financial strain. Whether you are at the start of a divorce or parentage action and are looking for guidance on child custody and support matters, or are already in an agreement that you wish to have changed, you need the right legal advice. Whether you are at the start of a separation and are looking for guidance on child custody and support matters, or are already in an agreement that you wish to have changed, you need the right legal advice and support from an experienced child support and child custody lawyer. With over 20 years experience working as a child support lawyer, Donna Green prefers to utilize collaboration as much as possible. With her extensive experience in mediation as well as litigation, Donna keeps the interest and wellbeing of involved children her first and foremost concern. Whereas some child support lawyers push for litigation, Donna knows that keeping the process of negotiation as amicable as possible is the best thing for the children. 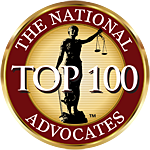 While she has solid litigation experience as a child support lawyer, she also has invaluable experience in mediation and a gift for finding collaborative solutions that work for everyone.